If you believe that any on the information and facts is incorrect, please make contact with us. Support us be better day-by-day. Updated on 2019 c/ Flor de Retama, s/n , Este - Alcosa - Torreblanca , Seville , Spain (Postal Code: 41020). Among all of the activities offered by the center, should you be interested in swimming you will delight in Olympic size, 8 lanes, Indoor/Outdoor. If you'll want to get in touch with this Swimming Pool, e-mail address and phone number are both number. Updated on 2019 Paseo Remeros de Sevilla s/n , Seville , Spain (Postal Code: 41011). Among all the activities supplied by the center, if you are enthusiastic about swimming you can enjoy 25 meters x 16-2/3 meters, 8 lanes, Indoor/Outdoor. If you need to contact this Pool, email address and phone number are both number. Updated on 2019 AORNOS, 3 4ºC "NUCLEO TARTESSOS" 41008 - SEVILLA , . Updated on 2019 Calle Ignacio Gómez Millán , Triana - Los Remedios , Seville , Spain (Postal Code: 41010). 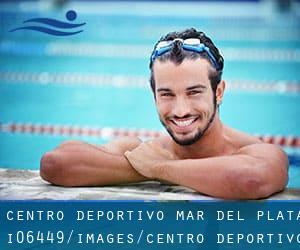 Among all of the activities offered by the center, should you be interested in swimming you will delight in 25 meters x 12.5 meters, 6 lanes, Indoors. If you'll want to get in touch with this Swimming Pool, e-mail address and phone number are both number. Updated on 2019 Carretera del Parque Alcosa , Este - Alcosa - Torreblanca , Seville , Spain (Postal Code: 41019). This sports center provides 25 meters, 8 lanes, Indoors. For this Swimming Pool, only phone number is number here. Updated on 2019 Calle Lora del Río 1 , Sur , Seville , Spain (Postal Code: 41003). Among all of the activities offered by the center, when you are enthusiastic about swimming you'll take pleasure in Olympic size x 25 meters, 8 lanes, Indoor/Outdoor. Just in case you want to make contact with this Swimming Pool before dropping by, we only know the phone number. Updated on 2019 Avenida José Laguillo , Nervión - San Pablo , Seville , Spain (Postal Code: 41003). This sports center delivers 25 meters, Indoors. For this Swimming Pool, only phone number is number here. Updated on 2019 Calle Ignacio Gómez Millán , Triana - Los Remedios , Seville , Spain (Postal Code: 41010). This sports center delivers 25 meters x 12 meters, Indoors. For this Swimming Pool, only phone number is number here. Updated on 2019 AVDA. MANUEL SIUROT, 3 BL. 4 41013 - SEVILLA , . Updated on 2019 Avda. Cardenal Bueno Monreal , El Porvenir , Seville , Spain (Postal Code: 41013). Swimmers like you reported 25 meters, 5 lanes, Indoors. Phone number and email address are number for this Swimming Pool. Updated on 2019 DEL MADROÑO, 11 URB. LA VEGA 41370 - CAZALLA DE SEVILLA (SEVILLA) , . Updated on 2019 TRASTAMARA, 9 - 13 41001 - SEVILLA , . Updated on 2019 Avenida Ciudad Jardín, 81 , Nervión , Seville , Spain (Postal Code: 41005). This sports center provides 25 meters, Indoors. For this Swimming Pool, only phone number is number here. Updated on 2019 MONTE CARMELO, S/N 41011 - SEVILLA , . The facts of this Swimming Pool has been verified recently by a member of their staff.